I found learning with Paul a positive experience. 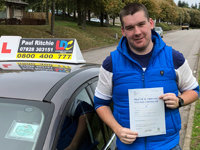 He was an experienced driver and his teaching style allowed him to show his experience in a simple manner, making complex issues easy! Paul was an amazing instructor, very clear and concise with all instructions and constructive advice. I was very happy at the speed of my progression. The workbook was of great help to me as it let me practise between lessons. The online Videos helped to reinforce all of the material in a visual environment. Overall the whole experience was very much enjoyable and I would definitely recommend Paul to a friend. Thank you Paul for teaching me to drive in just 2 weeks. I highly reccommmend your two hour lessons and in particular the programme of daily lessons during the week before my test. You worked me hard both during the lessons and reading the useful book; It was intensive and really prepared me well for my driving test. Your patience was great and although sometimes I was pretty terrified you kept me calm and I quickly gained confidence. 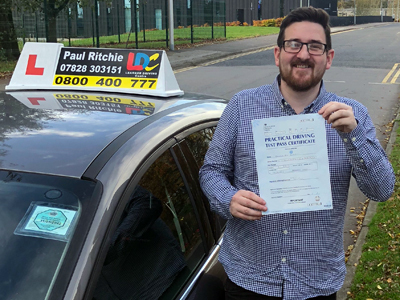 Paul was a fantastic driving instructor who helped me achieve a great pass. He has a deep understanding of driving and makes some of the tricker parts easier to understand and complete. Would highly recommend him as your driving instructor. Great guy, great instructor, guided me to a first time pass. Highly recommended! Paul is definitively the greatest driving instructor. 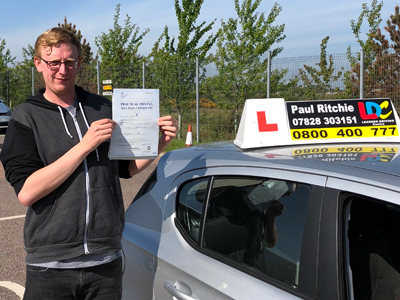 If you are a person who, like me, suffers from anxiety or other stress, Paul can expertly mould his instructing style to cater to your capabilities, all the while carefully pushing the breadth of your comfort zone until it covers the full range of skills required to pass the test. 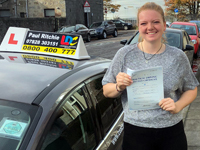 Paul was a very good instructor to have enabling me to pass my driving test in Aberdeen North test centre. 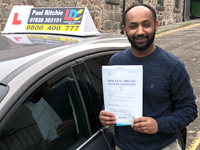 The reason I liked him as an instructor is that the lessons had a relaxed environment making it much easier as a learner to get used to the roads and feel comfortable. In addition, he was good because he makes sure that the learner uses their own initiative rather than being told exactly what to do at all points. Of course, if something went wrong, he would correct it and explain well how to change the bad habit or mistake. However, for the most part, he was there as a guide rather than dictating exactly what to do all the time, which I very much appreciate now that I am driving alone on the roads without anyone telling me what to do all the time. 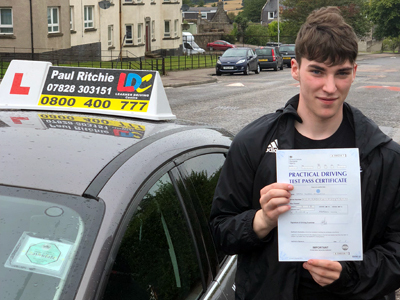 Overall, Paul is a very good instructor, and I would highly recommend him for learner drivers. I thought Paul was an amazing instructor, he always explained things well and was easy going when you made mistakes. He allows you to learn things that you want to learn and I was able to take breaks and revisit areas when necessary. The workbooks were helpful, they broke down every manoeuvre in depth and allowed you to keep a personal checklist of your progress. 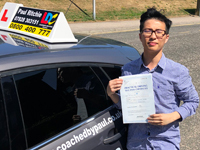 Driving with both LDC and Paul was a great experience and although I failed my test on the first attempt, I was able to bounce back with guidance which allowed me to pass second time. I now have my own car and I am driving, I feel confident on the road because of the things I have learned with Paul. Paul was excellent throughout. Assessed my ability early on, and focussed where it was needed. Let me set my own pace using the LDC material, which allowed me to pass 1st time after not many hours of lessons. His teaching style allowed me to relax, and set me up for success! Theory test prep I used all the sample exams, they were great for confidence building ahead of the test The LDC book is pretty useful, and I used it to familiarise myself with things as the weeks went by. The YouTube channel is also really good.